As a society we are growing increasingly health-conscious, so it stands to reason that we are desperately keen to look after our internal organs. In the midst of watching our cholesterol and blood pressure in order to maintain a healthy heart and liver, however, we shouldn’t neglect the biggest organ of all – our skin. As we age, our skin ages with us as collagens, the essential proteins housed below our flesh that make up 75% of our skin, struggle to maintain their steady rate of renewal1. Think of collagen as the cement that holds the bricks of our skin together. Just like aging or substandard adhesive could cause the bricks of a building to crumble and detach, the same happens to our skin as collagens decline in abundance and effectiveness. This is why we develop wrinkles, crow’s feet and other unsightly blemishes as we advance in years. The body creates collagen naturally, but this rate of production drops at a rate of roughly 1% per year, with female bodies producing less than their male counterparts as a general rule. This means that by the time we reach middle age, our bodies are only half as effective at combatting wrinkles as in our younger years – while collagen is also hugely important in maintaining healthy hair, nails and joints. Fortunately, help is at hand without resorting to the artificial lifts provided by a surgeon’s knife or Botox. 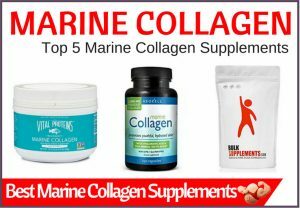 Collagen supplements are plentiful on the market, and a recommended part of anybody’s daily routine. Who Should Take Collagen Supplements? Everybody with an interest in maintaining a healthy body and skin – collagen is not only an essential protein for aesthetic purposes, but it also helps promote strong supple joints. Thus, collagen supplements can act as a natural preventative measure against future musculoskeletal concerns such as rheumatoid arthritis or osteoporosis2. With prevention being better than cure, some studies recommend that we should start taking collagen supplements as early as the age of 20, as this is when the body begins to slow down its natural production of the protein. There is no hard and fast rule as to when it becomes essential, and many people only begin to really ingest extra collagen when they notice wrinkles or joint pain, but there is no harm in starting early. However, if you have food allergies or are pregnant, you should consult a medical professional before investing in such products. 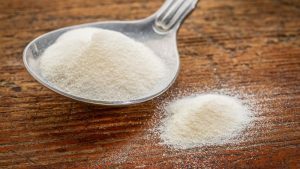 What Is In A Collagen Supplement? These supplements are largely made up of bovine, marine and poultry collagens, alongside vitamin C – the building blocks of the body’s protein needs, which help keep your skin smooth and wrinkle-free, as well as easing the pressure of inflammation on the joints located throughout your body. As you have probably successfully deduced, bovine collagen is found in the cartilage, bones and hide of cows, poultry collagen is located in the same areas of chickens, and marine collagen is largely drawn from algae and seaweed, in addition to favored seafood dishes such as cod. Naturally this is no use to vegetarian or vegan consumers, who will not be happy with utilizing animal products for their collagen replacement. Thankfully, there are alternative sources of collagen to meat, largely in antioxidant-packed fruits and berries that are classed as superfoods and a variety of plant products. 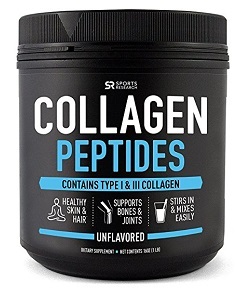 These are not as numerous as the traditional forms of collagen supplement, but you will find some brand recommendations later in this article. What Should I Be Looking For In A Supplement? 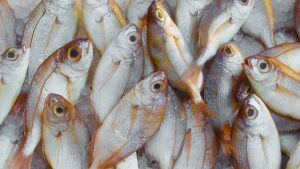 Glycine, proline, alanine and hydroxyproline are just some of the proteins that can be found in collagen, typically drawn from fish and other marine life. What’s most important is that your supplement contains plenty of stimulation for Type I Collagen, as this makes up over 80% of our bodies. What’s The Difference Between Different Types Of Collagen? Type I is the most abundant source of collagen within the human body, being typically located in scar tissue. Providing a service to the body similar to that of calcium, Type I Collagen is vital to maintaining strong and healthy bones and teeth – so much so that a shortage of the protein has been known to lead to joint hypermobility, hence the recommendation that we begin taking in supplements as early as possible. Type III Collagen, whilst linked primarily to the skin, is closely connected to the aims of Type I – and as a result, mutations and shortages can lead to Ehlers-Danlos syndrome (EDS)4. As we have previously established collagen reduces as we age, and Type III is arguably the most viscerally affected by this. As the body stops producing Type III Collagen, wrinkles and stretched skin become a reality, hence why it is an increasingly popular tool for cosmetic surgeons or any number of over-the-counter beauty products. Type II Collagen fulfills a different function, focusing primarily on the need for fluid to lubricate cartilage in our joints. With this in mind, most unconventional growth patterns such as dwarfism are caused by mutation within the Type II Collagen found within the body; a series of conditions known collectively as chondrodysplasia5. So, almost 90% of the human body is made up Collagen Types I, II and III. Type IV still serves an important function, however. Located in the basal lamina, Collagen Type IV works alongside a number of essential organs, not least the liver and lungs. Mutations within this protein source have been linked to renal disease6 and the unwelcome invasion of cancerous cells7. 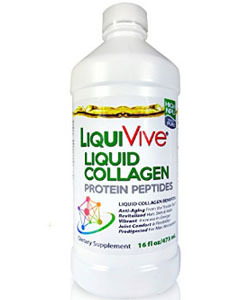 Collagen Type V meanwhile, though comparatively minor in presence within the body compared to Types I, II and III, is closely linked to collagen fibril formation8. 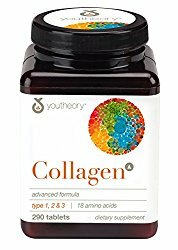 Should Collagen Be Taken Hydrolyzed As A Pill, Or Liquid? There are three main sources of collagen available. Hydrolyzation involves crushing bovine cartilage down to a fine powder, which can then be inserted into a capsule that can be swallowed and absorbed into the bloodstream. It’s advisable to wait until prescribed hydrolyzed collagen by a medical professional as, although there are no recorded side effects, it is also yet to be proven whether this method of ingestion is actually more effective than a traditional supplement pill. Despite this absence of scientific evidence, however, many claim that hydrolyzed collagen is more effective as a bone and joint treatment than any other form. Alternatively, collagen supplements can be taken as regular pills. These must be consumed upon an empty stomach or the benefits will be broken down and digested alongside food, but the benefits are numerous. Collagen ‘shots’ (as in small drinks, not injections) are also growing in popularity, in which the protein is consumed as a liquid. What method is best for you depends entirely on your personal preference as to how you ingest medication and supplements. As previously established, traditional collagen supplements are derived from cattle, fish and poultry. Fortunately, essential protein can also be derived from a plant source called silica, most commonly found in bamboo. Silica does not actually contain collagen itself, but it is filled with ingredients that stimulate the development within the body and provide the same benefits9. Rubbing silica upon your skin will have no advantages, however; the only way of obtaining the benefits of this plant-based protein is through orally ingested supplements. If you have no objection to traditional collagen supplements, it is advisable to seek them out in favor of silica; that’s a fine substitute, but as always, nothing beats the real thing. LiquiVive is a highly concentrated protein supplement with 240,000mg of amino acid peptides per bottle. They are hydrolyzed and thus bovine. As stated above, many people belive hydrolyzed collagen is much more effective so something worth considering. Being liquid, it has 20x more absorbency than pills and powders anyway. PROS – ​Liquid form so better absorbency. It is hydrolyzed too which is considered better for absorbency too. CONS – ​Doesn't contain vitamin C that complements collagen and helps wiht absorbency. Some customers feel it doesn't taste great. PROS – ​​Liquid form so better absorbency. It is hydrolyzed too which is considered better for absorbency too. ​Sports Research's collagen comes from pasture rasied bovine, giving you a nutritious and quality source. It comes in powder form and thus there are no other ingredients involved. PROS – ​Pastured raised quality product that is hydrolyzed. It is also a pure powder so no other ingredients. CONS – ​Doesn't include vitamin C which complements collagen. It is also difficult to mix and use for some people. PROS – ​Great price and quality powder suitable for vegans. CONS – ​​May leave residue in smoothie maker but a quick wash should get rid of it. 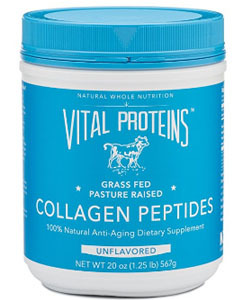 ​Like Sports Research, Vital Proteins' peptides are sourced from grass fed and pasture raised bovine hides. The Whole30 diet program also approves the product too. PROS – ​Pature rasies quality product that is hydrolyzed for better absorption. It is a pure powder that is tasteless so easy to incorporate into your diet. CONS – ​Doesn't include vitamin c.
PROS – ​​Pature rasies quality product that is hydrolyzed for better absorption. It is a pure powder that is tasteless so easy to incorporate into your diet. 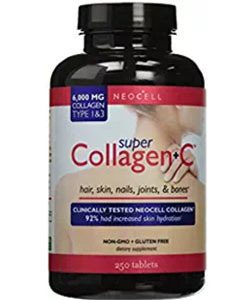 Neocell's product provides a "high potency dose" of optimum collagen replenishment according to their statement. PROS – Pasture raised quality product that is hydrolyzed and includes vitamin c.
CONS – ​Some felt it made no difference. ​I​Neocell's product provides a "high potency dose" of optimum collagen replenishment according to their statement. PROS –​Pasture raised quality product that is hydrolyzed and includes vitamin c.
CONS – ​​​Some felt it made no difference. 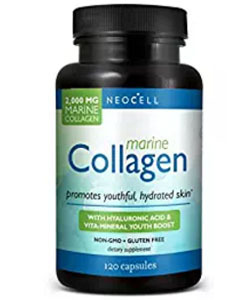 Neocell also provides a marine version of their collagen supplement which is fantastic too. It includes both hyaluronic acid and vitamin C which cwork synergistically with collagen. It also contains copper, B12 and B6. PROS – ​Includes hyaluronic acid which is an essential lubricant for skin. It also includes vitamin c and is hydrolyzed for better absorption. CONS – All supplements come with precautions and side effects, for some customers this was stomach ache on consuming this product. PROS – ​​​Includes hyaluronic acid which is an essential lubricant for skin. It also includes vitamin c and is hydrolyzed for better absorption. CONS – ​​​All supplements come with precautions and side effects, for some customers this was stomach ache on consuming this product. 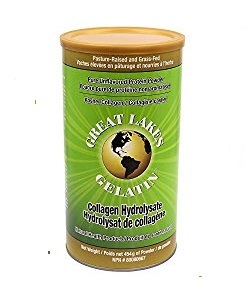 ​Fortunately there are a great range of collagen products on the market and lots that we could recommend here. ​Below are 5 more products that we think are great too. 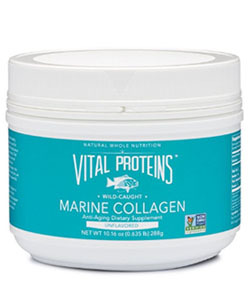 ​Vital Proteins also has a great marine product too, if you'd prefer marine over bovine. As their bovine product, this is also in powder form and tasteless. ​YouTheory's formulation contains Types 1, 2 and 3. It also contains vitamin c, which as we have established, is an an important complementary vitamin. It is made up of chicken and bovine collagen. The only downside is that some people feel the pills are a bit on the big side! ​​​Great Lakes is known for its great range of gelatin powders using high quality beef. This product is no different and is of high quality being sourced from grass fed, pasture raised bovine. This is another product in powder form and has no other ingredients. ​​Zint is another pure powder product. It also contains kosher, non-GMO pasture raised and grass fed beef. Zint has a finer texture than some other products on the market and also dissolves well. It is also tasteless which makes it easy to consume. ​It’s a perfect muscle-preserving drink for a warm summer’s day. I love the nutritional profile for this supplement too. You get a premium protein blend of 45% Whey, 45% Micellar Casein and 10% Egg White and the protein comes from premium grass-fed dairy sources. It’s well worth it's price tag and I actually recommend picking up another one of their awesome flavors and blending them. I like Banana Cream, CinnaBun, Lemon Meringue Pie, and Smores. ​For the vegetarian and vegans out here, we thought we would add a product directed towards you as a consumer. Garden of Life's product is called an "Organic plant collagen builder". It provides the necessary nutrients that are needed to build collagen in the first place. ​All these ​can be found on Amazon at a very reasonable price. ​​​​Great Lakes is known for its great range of gelatin powders using high quality beef. This product is no different and is of high quality being sourced from grass fed, pasture raised bovine. This is another product in powder form and has no other ingredients. ​Zint is another pure powder product. It also contains kosher, non-GMO pasture raised and grass fed beef. Zint has a finer texture than some other products on the market and also dissolves well. It is also tasteless which makes it easy to consume. ​​For the vegetarian and vegans out here, we thought we would add a product directed towards you as a consumer. 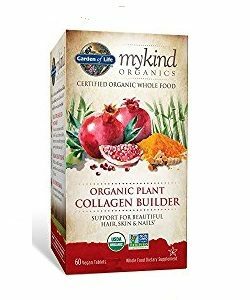 Garden of Life's product is called an "Organic plant collagen builder". It provides the necessary nutrients that are needed to build collagen in the first place. The most important complement to collagen is Vitamin C, which is readily available as a supplement in addition to well-known citrus fruits. The more Vitamin C we consume the more collagen our bodies can create, which will greatly enhance the effectiveness of your supplement. 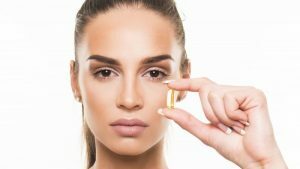 Remember that collagen should be taken on an empty stomach, so it may be best to use a pill as opposed to getting your fix through an orange or other food source. While collagen is undoubtedly hugely beneficial and essential, it is possible to have too much of a good thing. Excessive intake of collagen supplements will undoubtedly increase the levels of calcium in your body, and potential side effects of this include constipation, bone pain, fatigue, nausea, vomiting and abnormal heart rhythms. If you experience any of these side effects, you should cease taking supplements immediately and seek medical advice. Follow the advice provided on the label of your product, however, and you should experience all the benefits of this essential protein with no unfortunate reactions, with the possible exception of a lingering aftertaste until your adapt to the impact of the supplements. As a fundamental part of the human body, collagen supplements are hugely advisable for anybody to include as part of their daily vitamin intake; there’s no need, and indeed little point, in waiting until your skin begins to degrade or joints begin to ache before beginning a course. 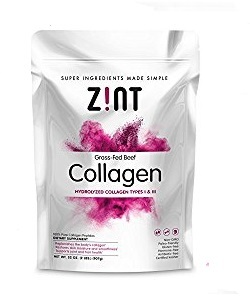 Collagen supplements are available in abundance online and over the shelf in any drugstore or health food purveyor, and are well worth looking into at your earliest convenience. 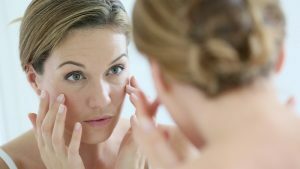 It is worth remembering that ‘anti-wrinkle’ creams containing collagen are usually quite expensive and tend to give you false ideas about the effect they will have on your skin. These types of creams and lotions will only work on the surface of the skin by decelerating the rate of water loss. They are not absorbed, and will merely give the skin a softer, smoother appearance. If you really want to improve your skin condition, you must start from within.